To celebrate Black History Month, Engadget is running a series of profiles honoring African-American pioneers in the world of science and technology. Today we take a look at the life and work of Annie Easley. Few people are brilliant enough to be a computer programmer or a mathematician. Even fewer can add "rocket scientist for NASA" to their resume. Annie Easley, however, was all three. During her 34-year career, she worked not only on technologies that led to hybrid vehicles, but also on software that enabled great strides in spaceflight and exploration. And if that wasn't notable enough, Easley also did all of this as one of the first few African-Americans in her field. Born in Birmingham, Alabama, in 1933, Easley was raised by a single mother who instilled the value of education at a very early age. In an oral history interview with NASA, Easley said that her mother told her that anything was possible, saying to her: "You can be anything you want to. It doesn't matter what you look like, what your size is, what your color is. You can be anything you want to, but you do have to work at it." Back then, schools were racially segregated, with whites and blacks attending different schools, and the latter were often considered inferior. Easley, however, overcame those barriers -- she earned top marks and was the valedictorian of her graduating class, earning her a spot at Xavier University of Louisiana in New Orleans. She majored in pharmacy at first, but after she got married and moved to Cleveland, she was unable to continue her pharmaceutical education. 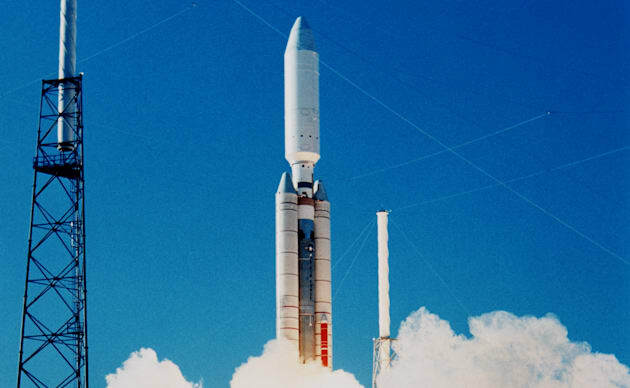 A satellite launch that was made possible by Easley's work on the Centaur rocket. Then, in 1955, she noticed a story in a newspaper about twin sisters who worked for the nearby National Advisory Committee for Aeronautics (NACA) as human computers -- people who did calculations and computations for engineers. Easley had always found math to be an easy and enjoyable subject and so thought the job was very intriguing. She applied for a position, and just two weeks later, she got the job. Easley was only one of about four African-Americans on staff. NACA would eventually become NASA's Lewis Research Center, which then became the John H. Glenn Research Center. This, as it happens, was a turning point in her career. She went from being a human computer to a math technician (as the department received actual computers to do the calculations). She decided then to pursue mathematics as a degree and attended classes full-time at Cleveland State University while also working full-time at NACA. While other male colleagues had their undergraduate tuition paid for, she had to pay for her courses with her own money. Only after she earned her degree did NASA sponsor additional specialized courses. "When people have their biases and prejudices, yes, I am aware. My head is not in the sand. But my thing is, if I can't work with you, I will work around you. I was not about to be discouraged that I'd walk away. That may be a solution for some people, but it's not mine." As technology evolved, so did Easley's education. She learned computer programming and how to write code with languages like SOAP and FORTRAN. Some of her assignments included studies in alternative energy, where she analyzed solar and wind technologies, identified energy-conversion systems and determined the life use of storage batteries. Her work on the latter especially informed the development of batteries that are used today in hybrid vehicles. Her skills were also put to use when NASA was developing software for the Centaur, a high-energy booster rocket that is also known as "America's Workhorse in Space." Utilizing a mix of liquid hydrogen and liquid oxygen, the Centaur proved to be the most powerful upper stage in the US space program. It would eventually be used to launch numerous communication and weather satellites as well as exploratory spacecraft like the Surveyor, Pioneer, Viking and Voyager. It was also a key factor in the launch of the Cassini spacecraft to Saturn in 1997. In short, if it wasn't for Easley and her work on Centaur, modern spaceflight wouldn't be possible. Throughout it all, Easley also worked to help others. In 1954, when Jim Crow laws in the South meant blacks had pay a poll tax and take a literacy test to vote, she took it upon herself to teach other African-Americans how to pass it. Later at NASA, she also worked as an Equal Employment Opportunity counselor, where she educated supervisors about workplace discrimination on not just race and gender, but age as well. "Nothing was given to minorities or women. It took some fighting to get that equal opportunity and we're still fighting today," said Easley. As for her advice to those who want to get in her field? "Don't give up on it. Just stick with it. Don't listen to people who always tell you it's hard, and walk away from it."